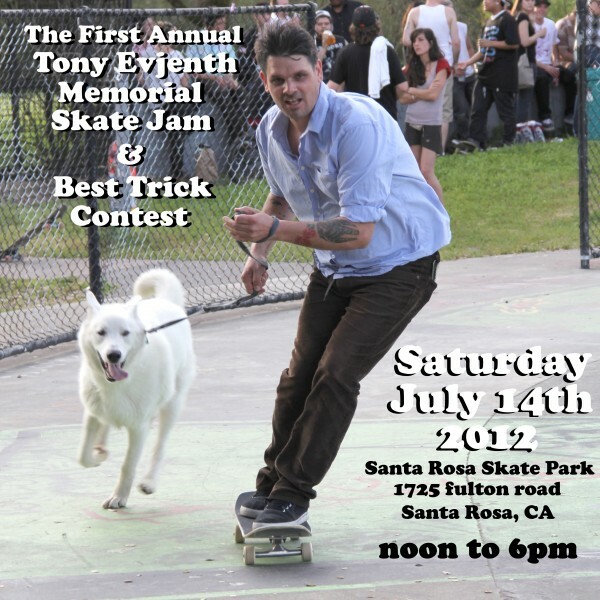 The first annual Tony Evjenth Memorial Skate Jam and best trick contest is happening on July 14 at the Santa Rosa Skatepark. The raffle will be raising money for Tony’s son, Maverick Tucker Evjenth and his mother Laura Tucker. There will also be a silent auction and other various fundraisers.